When I was young, amusement park is the seasonal peryahan that suddenly sprouts somewhere in our neighborhood. Thrill ride is the soul-ripping ferris wheel; worse than a rollercoaster for its continuous cycle of dropsies. Souvenir is a teddy bear, if you were ever successful popping balloons with a dart, or shooting rings on empty soda bottles. Gamble is throwing coins on a board emblazoned with numbers, hoping it would stay within the square to win. Cheap, temporary, colorful and unglamorous; that’s how the Filipino carnival is. But to me and the people of my generation, it instigated one of our earliest memories of fascination and wonder, easily experienced in youth and rarely felt in adulthood. So rare I could no longer remember the last time I’d been blown away, until I stepped foot at Universal Studios Japan. A place so magical I bade adulthood adieu; at least for one whole day. Because our trip to USJ is so epic, I decided to write this in 3 parts. Let us begin with the 3 attractions that will surely make your heart stop. I liked Harry Potter, but not enough to turn me into a fanatic. Blasphemy! is what a true-blue HP fan would say. And before I get rebuked for this, a little clarification: I’ve seen all Harry Potter films, I loved them all. But there are definitely better HP fans than me. There are Potterheads who have watched and rewatched HP movies, read and re-read the entire book series, knew every line by heart, and maybe, gathered every HP collectibles they could find. I loved Harry Potter, I was just too lazy to pursue an obsession. Given this status, you’d think I’d be just cool about going to the Wizarding World of Harry Potter; I wasn’t. If it weren’t for my RBF, my companions would have been scandalized by the Marjorie that was screaming and jumping inside her head for all the excitement she could barely contain upon stepping foot in this part of USJ. I think my excitement was on a rabid level, couldn’t count the times I said “wow,” couldn’t keep up with our guide because I wanted to stop at every corner (I even lost my companions for like 5 minutes), and couldn’t stop myself from documenting everything on my phone. I don’t think my words would suffice to give justice to the experience, but let me try. 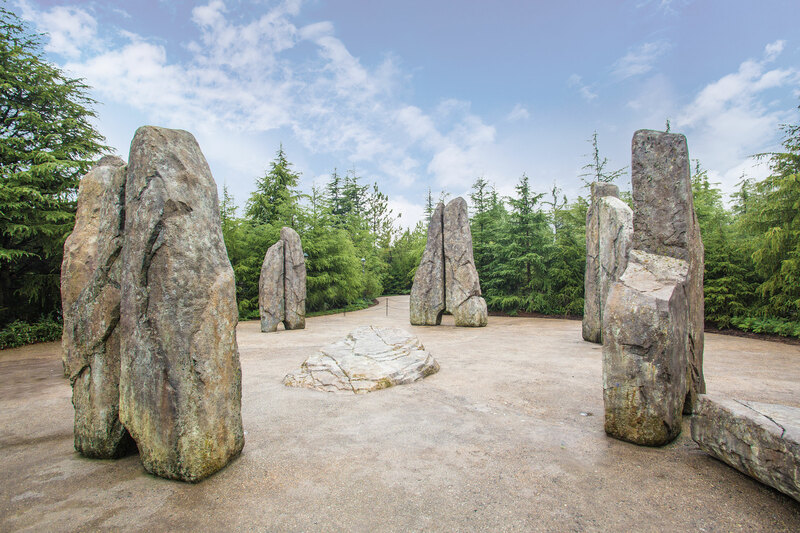 The first thing that we saw was the Stone Circle or the Sundial Garden. Like I said, I am not a fanatic, so I failed to remember what these Stonehenge-ish rocks were for. Past the stone circle is the long path inside the forest where somewhere along the way we saw people taking turns for a photo-op with a blue car. Again, I didn’t remember what this car is, and when I asked, somebody from my group said, “Herbie.” And I was there thinking, “Herbie is in Harry Potter?” It was only when I went home and googled things that I remembered what these installations are. 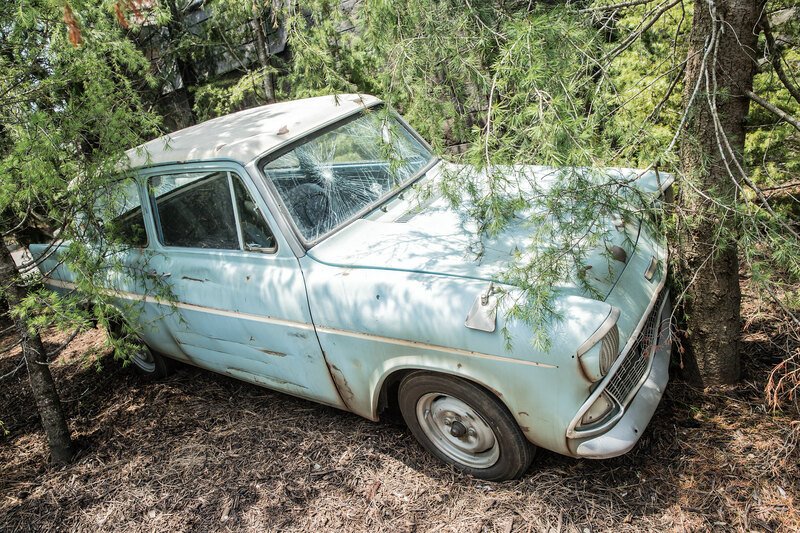 The Stone Circle can be found inside the grounds of Hogwarts, while the car is the Ford Anglia, driven by the Weasley brothers to rescue Harry from the house of the Dursleys. Through the forests, the iconic theme music of Harry Potter can be heard. That music helped build up the excitement. I tell you, it made me feel like I was one of the would-be wizards being summoned to Hogwarts. We reached the end of the trail, to the imposing view of the Hogsmeade Gate; this is it, we entered the magical world of Harry Potter. The path is lined by shops, up ahead is the view of the Hogwarts castle, on the right, close to the entrance is the Hogwarts Express. It was a sensory explosion of Rowling’s fictional world that could impress anyone, Harry Potter fans or not. For the first taste of wizardry, stop by the Hogwarts Express and learn how to open the trunks with a magic wand and a little bit of cistem aperio. There are so many things to do at the Wizarding World of Harry Potter; you can eat at The Broomsticks, try the butterbeer drink that everyone was lining up for, take the two-minute Flight of the Hippogriff ride, watch street entertainment that is the reenactment of some Harry Potter scenes by some USJ actors, and shop for sweets, toys, wizard-wear, stamps and stationery, and magical supplies. 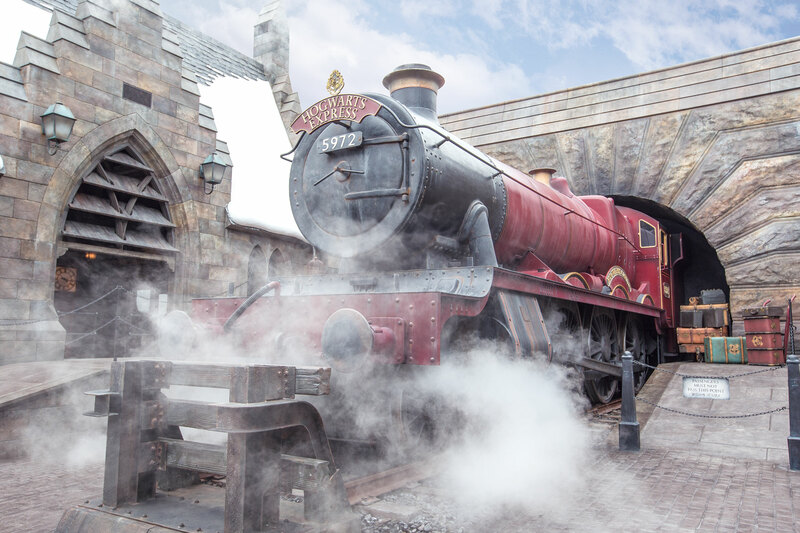 But the real highlight of this Wizarding World, and this I suggest you do before anything else because the queue can be crazy long, is to take the Harry Potter and the Forbidden Journey, a state-of-the-art 4K technology ride. The ride is inside the Hogwarts Castle where you can see the moving portraits, the Sorting Hat, and Dumbledore’s office. Lucky us, we had the media pass so we didn’t have to fall in long lines in any of the USJ attractions including this. The ride begins on a train platform. Unbeknownst to my companions, I was paralyzed with fear, but it was more out of anticipation and not knowing exactly what the ride is going to be. We were each given a pair of 3D glasses. Then the train started moving and before we knew it, we were already getting tossed in dramatic aerobatic inside this big dark room. It’s a reenactment of Quidditch, a competitive sport played up in the air with the use of flying broomsticks. It felt so real, the sudden drops had me gripping on my seat. For the first few seconds it was scary, but once I’ve settled myself into the ride, I began to genuinely enjoy it. Soon, I was screaming in delight like everyone else, whooping and swooshing in the air. I was so happy, I overused the wows and the awesomes. So whatever you do, thou shall never miss this ride when you visit USJ. 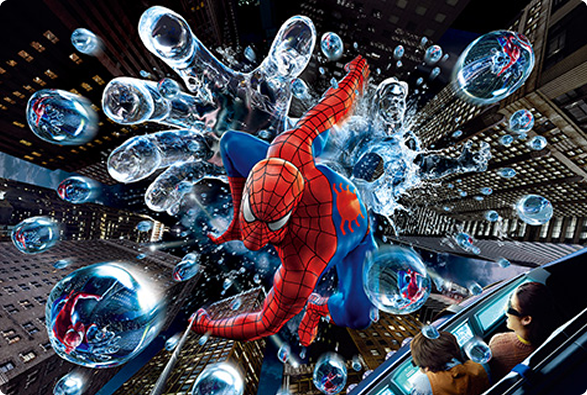 The Amazing Adventures of Spider-Man is another simulation ride that is popular to the park visitors. It is powered by a series of special effects, such as fogs, strobes, water, wild turns, and rapid falls. We rode a car that represents the Scoop or that vehicle of the Daily Bugle. Again, we wore 3D glasses and this time, we followed Spiderman as he fought the members of the Sinister Syndicate, such as Scream, the Hobgoblin, Electro, Hydro-Man, and Doctor Octopus. This ride felt more realistic to me than Harry Potter. When the Spidey villains threw us something, I moved to dodge their blows despite knowing it’s just a 3D simulation. Also, when Doctor Octopus came on, he literally sprays us with water. To the brave, there is the Jurassic Park The Flying Dinosaur, the biggest roller-coaster in the park. I didn’t go (yes, I chickened out! ), but some of the bloggers went for it and they loved it. This roller-coaster has 360 turns in the air, sharp rises, and sudden drops. It runs at great speeds that will surely satisfy the adventurer in you. Universal Studios Japan or USJ as known by the locals, was established in 2001. It occupies over 108 acres of area in Sakurajima, Konohana Ward in the Osaka Prefecture of Japan. USJ’s monthly visitors is over 600, 000. There are also many attractions it’s impossible to see it all in a day. USJ’s Halloween special started on September 9 and ends on November 6, 2016. You still have one month to enjoy this Halloween treat. So book a flight now to Osaka via Cebu Pacific, the largest airline in the Philippines. Cebu Pacific flies between Manila and Osaka five times weekly, with lowest year-round fares starting from PHP 6,399. Cebu Pacific also flies from Manila to Tokyo (Narita), Nagoya and Fukuoka, as well as from Cebu to Tokyo (Narita). Book its trademark lowest fares now through CEBsakaflights or (+632)7020888, or follow its Facebook or Twitter pages for the latest seat sales. Disclaimer: This Osaka fam trip was courtesy of Cebu Pacific. Photos were provided by USJ. Review and opinions are my own. How about you? 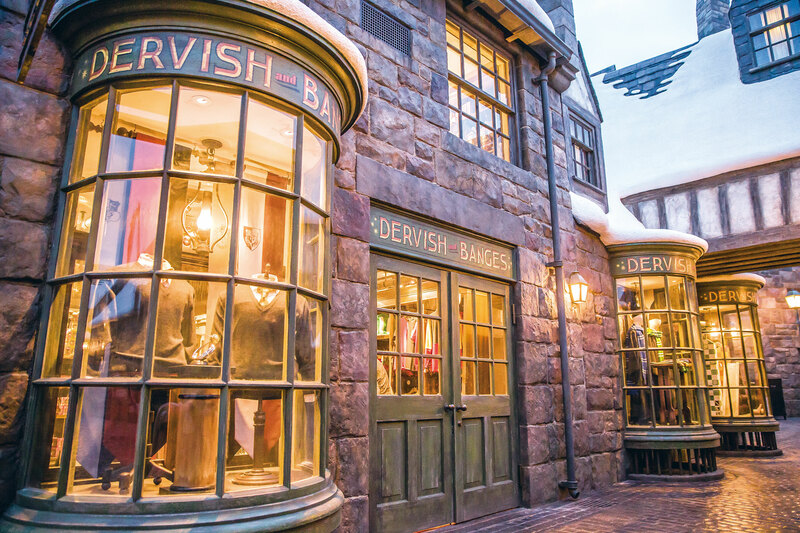 Have you been to Universal Studios Japan? Which one is your favorite heart-stopping ride? Share to us your experience in the comment below. Previous Post Not Permitted to go to Indonesia - No Worries, I'm Going to Japan! I went to USJ solo, and i never thought i will have so much fun i’m already planning to go back.I went there for sailormoon Universal cool Japan. But also discovered my love for extreme rides. I think May is the best time to go there to avoid crowds. The longest time i’ve waited is 60 minutes for final fantasy XR (another unforgettable ride) , i used single riders lane, and rode harry potter ride twice. The key is keep yourself dry when it rains and enjoy the rides without long lines because this is where the lines are the shortest. I rode hollywood ride rollercoaster first, the first fall that felt like 90 degrees fall brought tears in my eyes, but after that, the next rides felt less intense, even the flying dinosaur one. I really like the diving into the tunnel part of flying dinosaur. Wow. This article made me miss Universal Studios Japan. Did you try the Hollywood Back drop? It’s also one of the most exciting rides in USJ. However, expect a very long line here. Regardless, you’d love it. I was just lucky to have a USJ exress pass during my visit. These are some real adrenaline pumping rides. I would love to try these when I happen to go to Universal Studio Japan. The harry Potter and Spiderman rides sound particularly interesting to me. Agree with this 3 heart stopping rides! Harry Potter was an overwhelming experience. Spiderman is still the best 4D cinema as of today, i think. I wasn’t able to experience the 360 degree roller coaster, we were out of time! Im a big Harry Potter fan and a big theme park fan so this place is perfect for me. Can’t wait to visit and try these ride out soooooon!!! 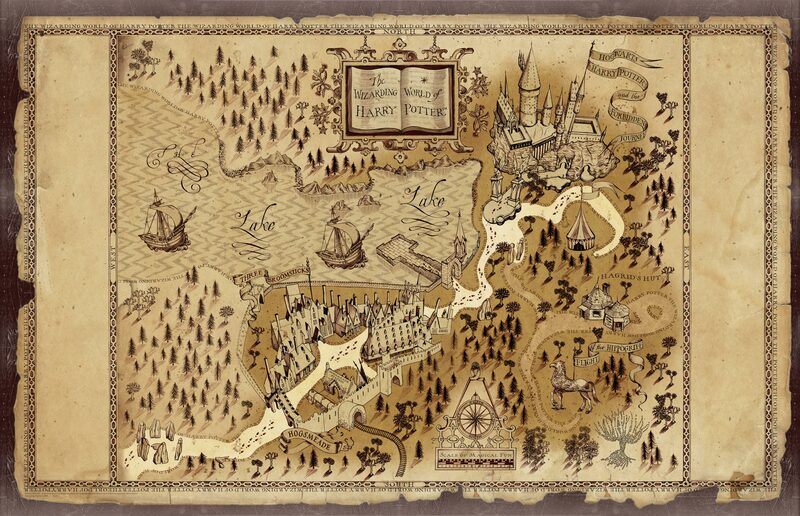 i’m not a fan of theme parks, but when i first read of the harry potter attraction at USJ, I so wanna go! if only they will bring this in to USS (singapore), will save me a lot more money then! Planning for an osaka trip, maybe only in another year or two. I can only hope that they won’t switch it out for new rides anytime soon. The Amazing Spiderman is a classic in USJ. I can never forget it since it was beyond 4D for me. Hence, when Transformers opened in US SG, I wasn’t as surprised as my friends. The two other heart-stopping rides got me excited. Those are really new. I guess it’s really time for me to return. I hope I’ll scream on those. All I can say is WOW! Universal Studios sure is just one of the best places to put to one’s itinerary. Good thing that there are so many options to do too whenever you are in the said park. Your top 3 picks are also awesome. This gives ideas for those planning to visit the place too. There is a Jurrasic Park ride like that at USJ too, it’s just that it wasn’t part of our itinerary. All the three rides sound really interesting and fun. I am sure it would be exciting. I think the Harry Potter one is the most fascinating and intriguing one. Would love to get on to it someday. I tried the universal studios in Los Angeles but your photos of Japan look really nice. I love Harry Potter world and that Butter Beer. I even took home a mug as a souvenir. Now, I wanna go back to Japan and try this too. We also took home the mugs for souvenir! The place is like a dream come true for Potterheads! I don’t know yet how the real thing looks like, but your photos made me want to go there! I don’t know about the rollercoaster, it made me feel nauseous. Nonetheless, everything looks fun. They look real enough for me, I don’t know, it was just fun seeing everything. 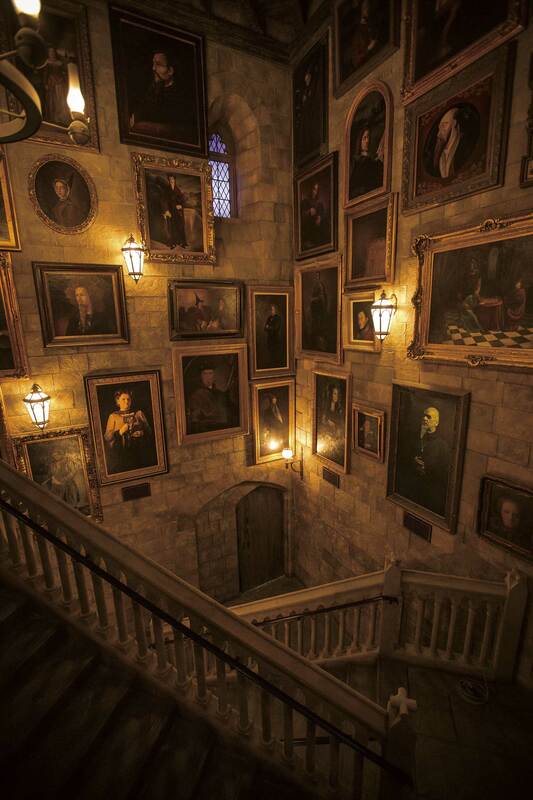 It would really make you feel like you are living in Harry Potter’s world. 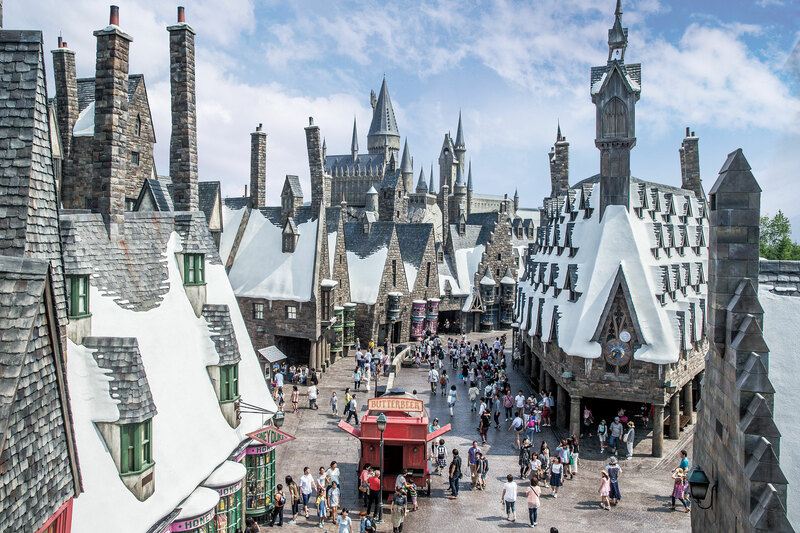 I’m a huge roller coaster junkie that ride looks like the funnest to me, however the harry potter attraction look just like the movie from your picture. it would be very interesting. I envy you. I wish I could say I love thrill rides but nope hahaha… I just pick what I knew I could take. A big Harry Potter fan? Then you would definitely be stoked when you enter the Wizarding World. I am not even that obsessed yet I can’t get over it so definitely, the experience would be so much better for you. I agree with what you said about Japan, this country is just so fascinating. Hope you get to go there Milton. Oh my gawd, I LOVE THIS! I’m a somewhat Harry Potter fan too. (LOL) but this Harry Potter world is really amazing. And I think I’d be left out also by the group coz I’d be drooling around. Btw, great photos! A fellow somewhat-Harry Potter fan! Hahaha… Thanks Gene Rose. 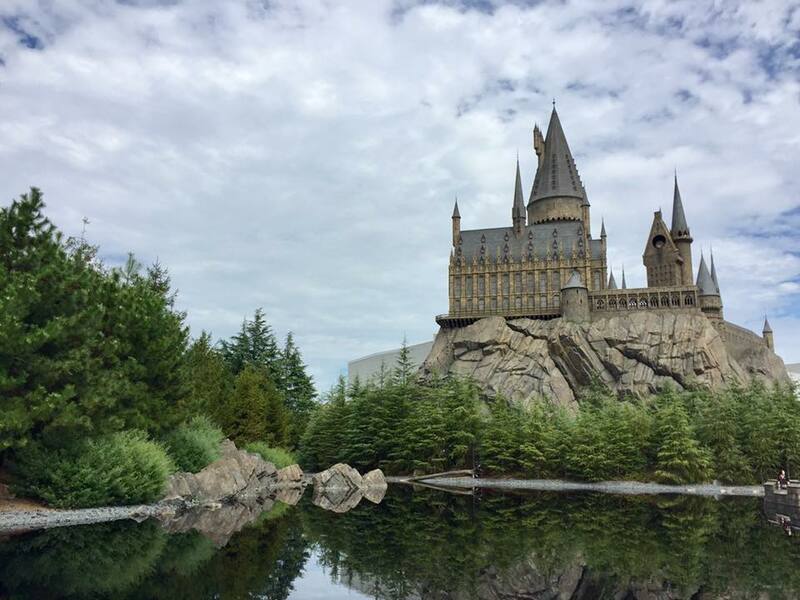 Your kids would definitely love USJ, especially Harry Potter. 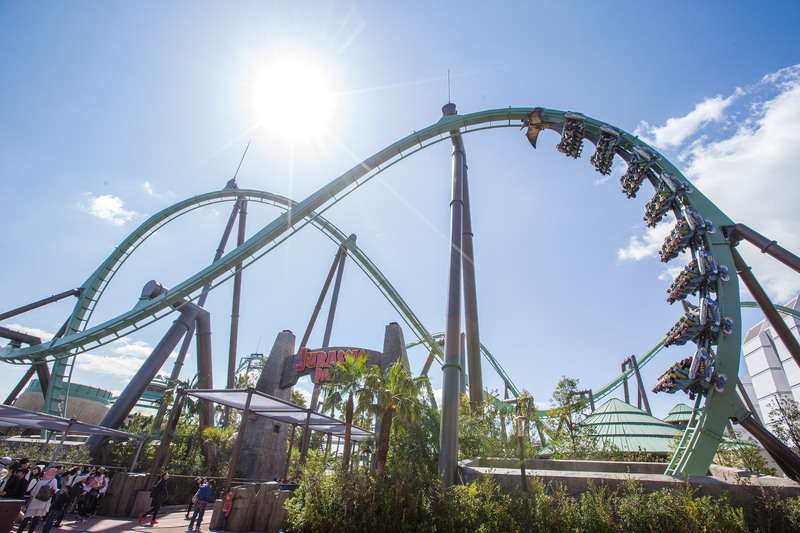 Don’t worry about the flying dinosaur but don’t miss the HP Forbidden Journey. For sure you will love it! Never been here. But my sister said that the Universal Studio in Singapore where we go together is nothing compared with one in Japan. Well, I tried that roller coaster in Singapore, which is equivalent to a 3 storey building height. ( I don’t know how high is the one in Japan). After which I promised not to take any roller coaster any more. hahahha. I love amusement parks! 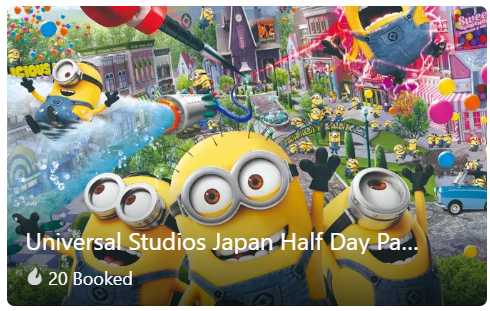 I think I would totally like going to Universal Studios in Japan! I’m heading to Osaka in January so maybe I’ll put this on the itinerary (is it open in January, actually?). PS Only have seen the first HP movie…and never read the books! I’m with you when you say you like Harry Potter but doesn’t have an obsession over it. Although my jaw literally dropped while reading the whole HP experience. OMG. I want to experience that! I always tell myself not to envy something but I just can’t help it on this post. Haha! I now feel like a child who wants to get something I cannot (at this point). I’m past reading the Spider man Adventures but I’m still thinking about HP. waaah! Hey Kris! The Harry Potter experience was epic and should I go back, I’d still line up to the Forbidden Journey ride. I hope you get to experience it for yourself. I’m sure you will have lots of fun! I like how you highlights the creation of Harry Potter that hits your blog more captivating. Exactly like you, I am always happy whenever fiesta is approaching as a sign of experiencing a mini amusement park. 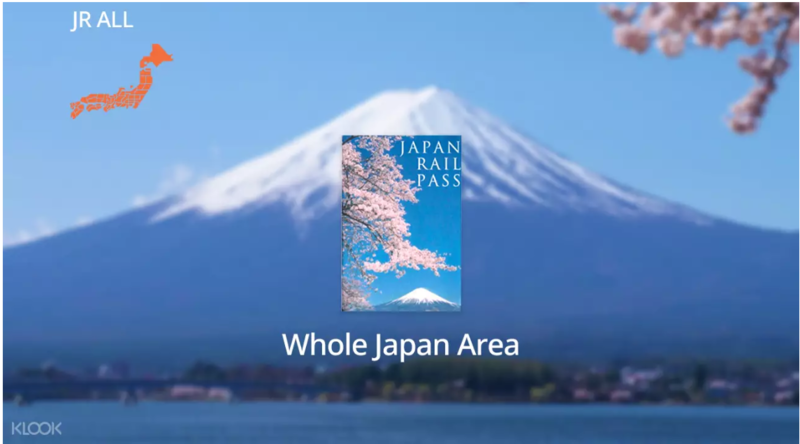 Japan has long been penned on my bucket list and your post motivates me more to spare some money. I’ll certainly bear that rides in mind. Hope you get to experience them too Lai. i will take note of those recommendations. i love Harry Potter and that place is indeed a nice way to look back at those scenes and imagine how the story went through.